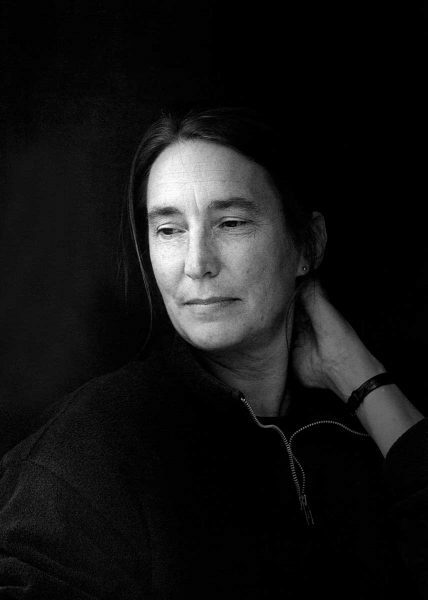 Jenny Holzer was awarded the Medal of Art for her longtime contributions to Art in Embassies and cultural diplomacy on January 12, 2017. For more than thirty-five years, Jenny Holzer (American,b. 1950) has presented her astringent ideas, arguments,and sorrows in public places and international exhibitions, including 7 World Trade Center, the Venice Biennale, the Guggenheim Museums in New York and Bilbao, and the Whitney Museum of American Art. Holzer was the first woman chosen to represent the American Pavilion at the 44th Venice Biennale in 1990, where she received the Leone d’Oro grand. Her medium, whether formulated as a T-shirt, a plaque, or an LED sign, is writing, and the public dimension is integral to the delivery of her work. Starting in the 1970s with the New York City posters, and continuing through her recent light projections on landscape and architecture, her practice has rivaled ignorance and violence with humor, kindness, and courage.